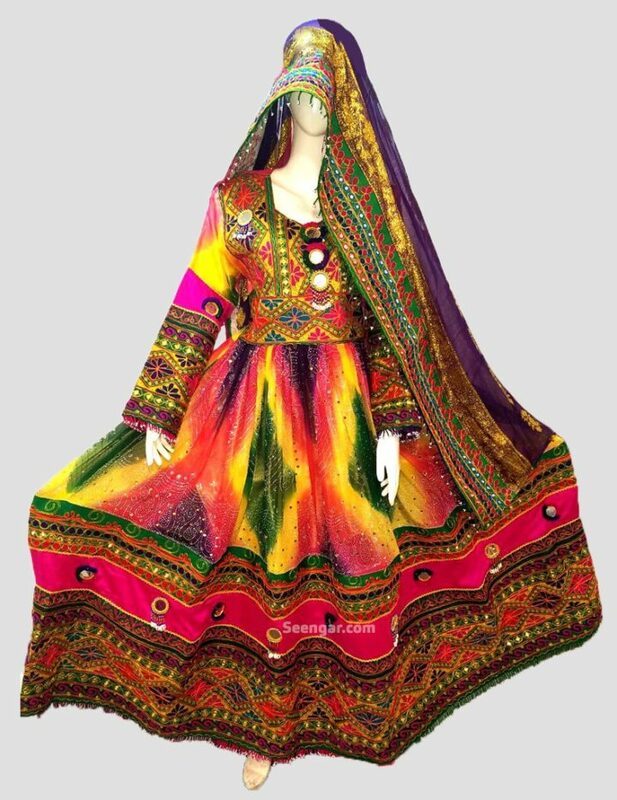 Just like the ammolite stone, this Afghan dress showcases a great range of vibrant colors that will hold your attention. Making this fill body style dress the perfect way to dress up for any event. 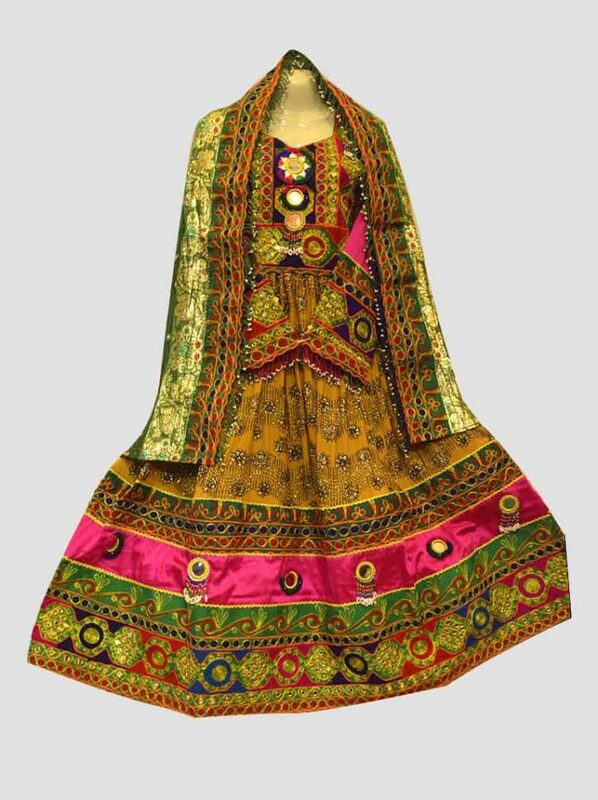 As it’s multicolored touch, along with the mirror and thread work details really bring out a gorgeous piece. Showcasing the traditional Afghan heritage the dress has been inspired from. Moreover, this full sleeved dress comes with a matching dabatta (shawl), that offers the same attention to detail. Making this the perfect dress for your big day! 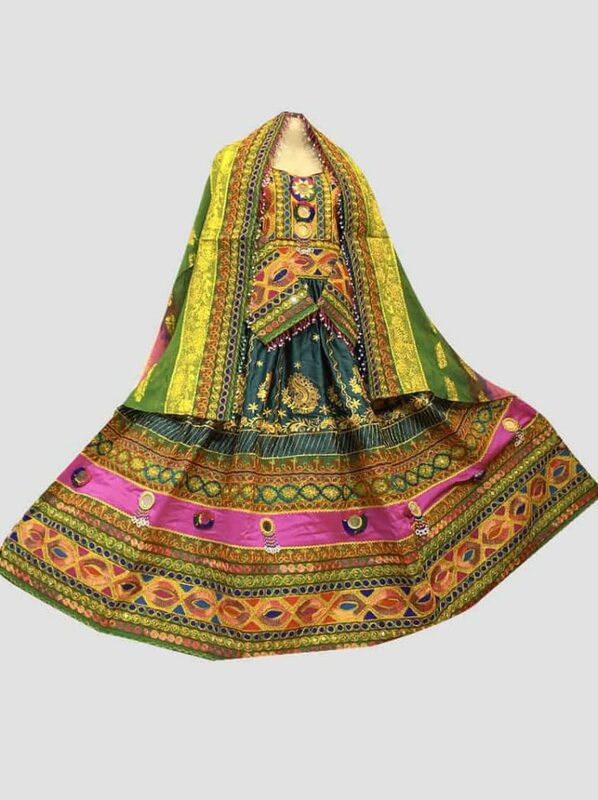 Just like the ammolite stone, this Afghan Dress showcases a great range of vibrant colors that will hold your attention. Making this fill body style dress the perfect way to dress up for any event. 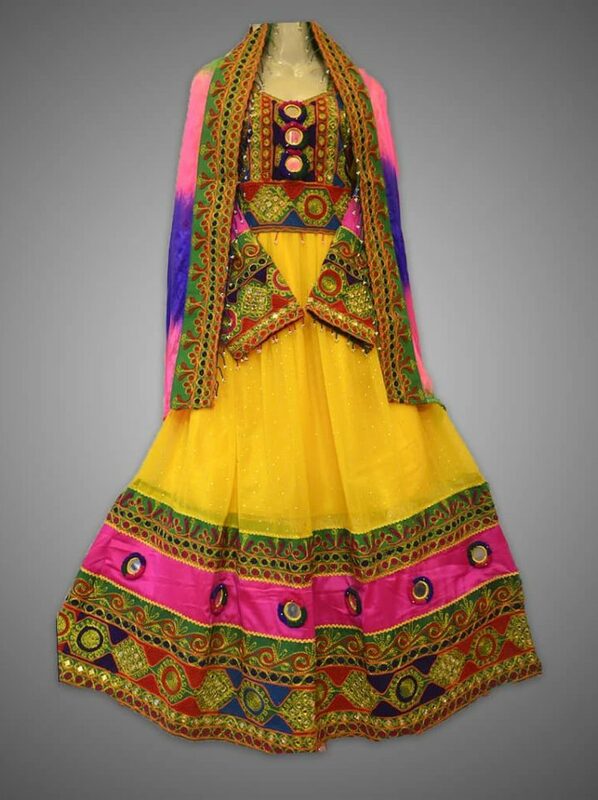 As it’s multicolored touch, along with the mirror and thread work details really bring out a gorgeous piece. Showcasing the traditional Afghan heritage the dress has been inspired from. 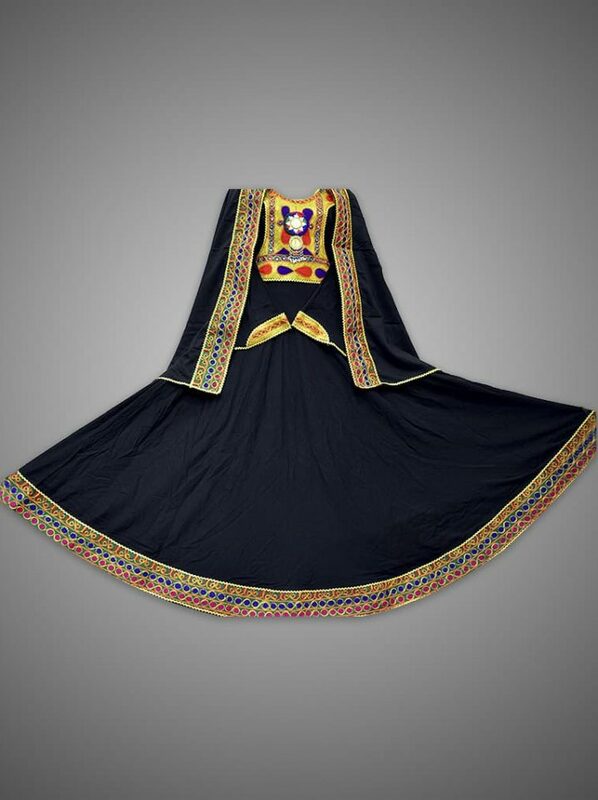 Moreover, this full sleeved dress comes with a matching Dupatta (shawl), that offers the same attention to detail. Making this the perfect dress for your big day!